Chef Of The Year 2018!! Congratulations to our Executive Head Chef, Sean Melville who was last night crowned Cambridgeshire’s Chef Of The Year at the Cambridge Food & Drink Awards! Nominated by the local community for his creativity, determination and fabulous twist of modern classics Sean received the greatest number of nominations by the general public. Once the top three contestants were shortlisted for the final, a judge was sent to taste a three-course meal at our 2AA rosette Squires restaurant. 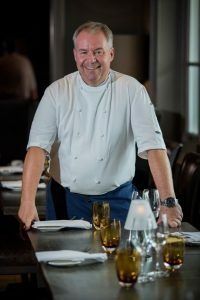 The pivotal announcement was made on 9th August in the heart of Cambridge…where Sean was announced as Cambridgeshire’s Chef Of The Year! 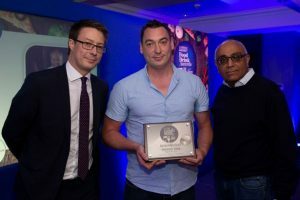 Head Chef, Jamie Mountford was also announced as a finalist in the Food & Drink HERO category which aims to recognise individuals who go the extra mile in their community. Recognised for both his exceptional cooking talents and his drive to use his skills to fundraise for causes close to his heart. Jamie charmed the nation when he participated in the 2016 series of Masterchef: The Professionals, and, with his recent promotion to Head Chef at Bedford Lodge Hotel & Spa, continues to create spectacular dishes for guests at Squires restaurant. In his spare time, Jamie regularly organises food-tasting events in aid of Headway Cambridge, a charity that supports people who have suffered brain injuries. Congratulations to both of our amazing Chefs! Come and try the Chef Of The Year’s food at our Squires restaurant which is open 7 days a week!